Isn't spring the perfect time to prepare simple, nourishing salads? After a long winter, the buds of spring are a happy sight! New produce appearing at farmers markets, grocery stores, and our own backyards promises the many fresh, delicious meals to come. It's almost time to start harvesting those crispy vegetables so near and dear to our hearts. However, why wait for summer? There are greens to be picked and delectable salads to prepare, even now in April. It's surprising how many varieties of spring salad there actually are! Today, let's look at a few different ways to incorporate spring produce into salads. For more ideas about adding herbs to salads, see How to Create an Herbal Salad. Many vegetables growing during the spring months are wonderful as the main attraction of a salad. Why not try adding a little roasted rhubarb to a mix of greens? With a little goat cheese perhaps? Maybe sprinkle it with a few salad nuts? If you're feeling a spark of creativity by now, here are a few spring vegetables you can use to spice up your salads. And here are a few of my favorite salads, all starring springtime vegetables. Edible flowers add color and interest to salads. Many of them have a very light flavor, but what they lack in the taste department, they more than make up for in prettiness. The edible beauties below are all available during the spring. Also, check out this wonderful example of using edible flowers in a salad, combining Bibb lettuce, oranges, herbs, and violets. Many greens, still in the “baby” stage during springtime, have a delicate and sweet flavor. Even usually bitter greens, such as dandelion leaves, are much milder when picked during this early phase of growth. Mix greens together easily by ripping the leaves into bite-sized pieces, tossing them together, and tossing the whole collection with a little vinaigrette for a simple side salad. If you're looking to create a larger, more filling salad, add fruits, vegetables, nuts, and goat cheese or feta. Here are a few salads featuring spring greens. Chopped salads are easy to prepare. They do require chopping (obviously), which can be time consuming, but most of these salads can be prepared ahead of time. Make fresh crisp salads by choosing a variety of spring veggies. 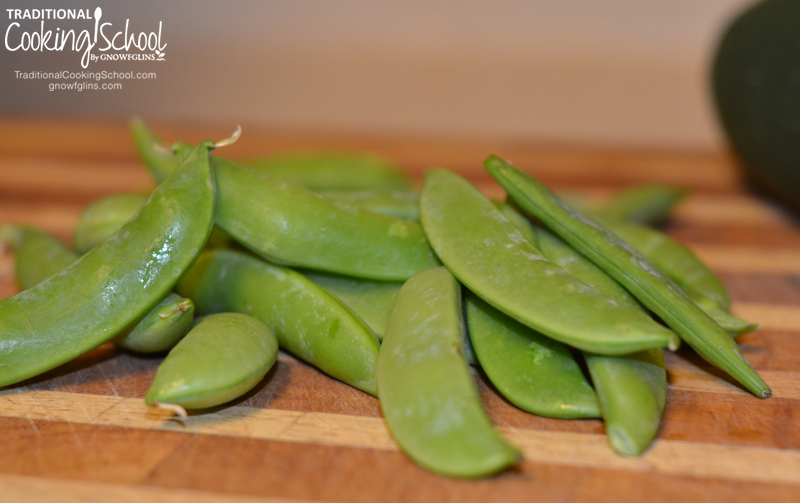 They are perfect as a side dish or as a base for a hearty main dish salad! 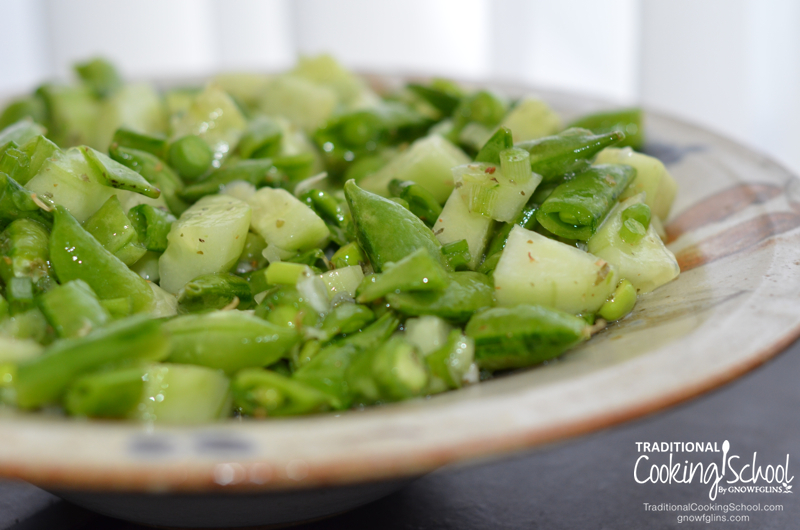 Here is an example of a simple, chopped salad that can be enjoyed during the spring. This recipe is relatively quick to prepare and provides that nice, fresh crunch we often miss during the winter months. Serves 4 as a side salad. Adapted from Well Fed 2. Toss vegetables and parsley in a bowl. Mix oil and vinegar together then pour over all. Sprinkle with salt and pepper. Toss to combine. 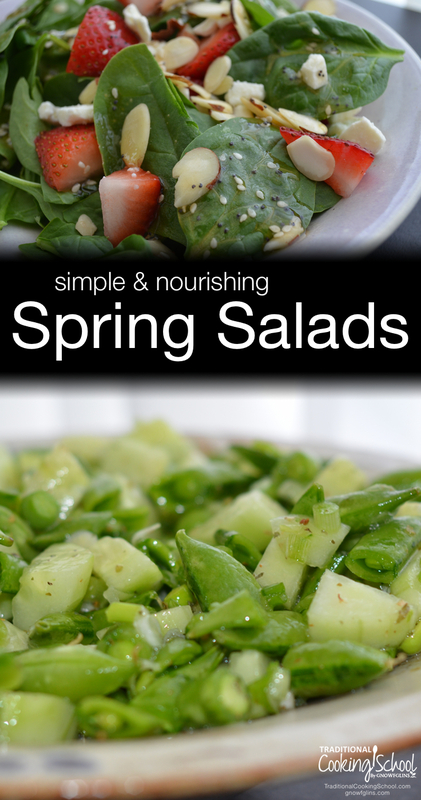 What is your favorite spring salad combination? Greens are some of my favorite things to grow and ours are at their peak just now. Our favorite way to eat them is with a simple vinaigrette, some sort of cheese like parmesan or feta, some thinly sliced purple onion, and kalamata olives. The recipe for your chopped salad though looks very good! My favorite edible flower is nasturtium – – – they taste like radishes or salad turnips – a little bit of nippiness with vibrant color added to the salad. I grow two in containers outsider and pick the blooms off to add to salad mix.